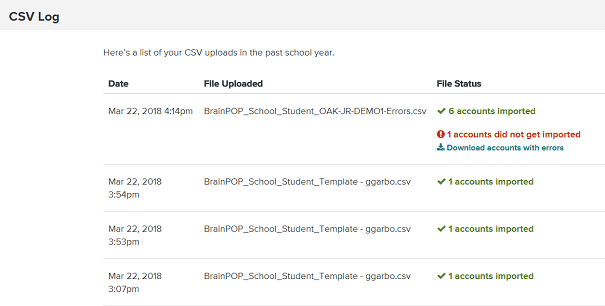 My BrainPOP district administrators can create individual My BrainPOP student accounts or bulk upload student accounts via CSV in the Admin Dashboard. 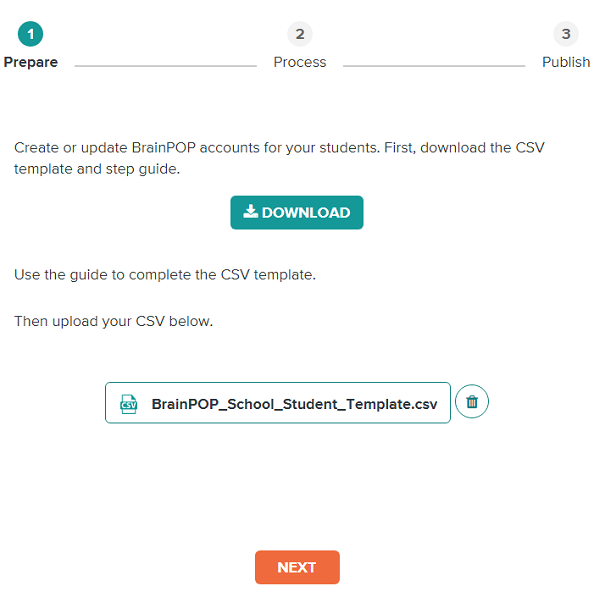 You can create individual My BrainPOP student accounts in the District Admin Dashboard. To upload an individual student, click One Account. Fill out the form with the student's username, first and last name, password, graduation year, and student ID. Select the school the student attends. Click Create Account once finished. NOTE: Students will not be able to log into these accounts until they have joined a class using a teacher generated class code. For more information on creating and joining classes, refer to the Create Classes article. 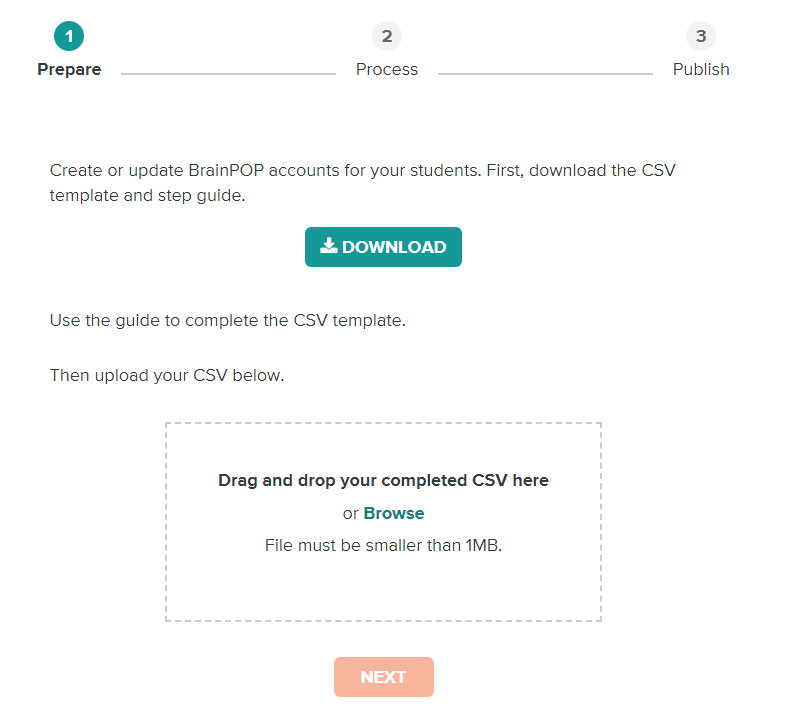 When adding multiple students, we recommend uploading in bulk via CSV. If this is your first time bulk uploading students, you must give your school(s) a School ID that is unique within the district. We recommend an ID that can be easily exported from your information system, such as the NCES ID or SourcedID. Download the CSV template and step guide. Open the CSV template and prepare the CSV for the students you wish to upload. NOTE: Do not delete or rename any columns. Keep them exactly as they appear in the template. School ID A unique school ID within your district that the student is in. We recommend using the NCES ID or SourcedID for the school. 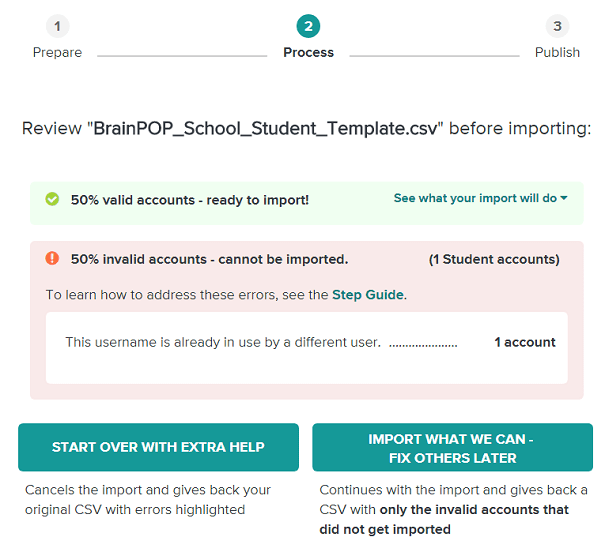 If you choose to Import What We Can - Fix Others Later, you will advance to a screen that allows you to download the accounts with errors and import the accounts without errors to the dashboard. Click Download to get a CSV of your errors to fix later. Then click Next: Import. 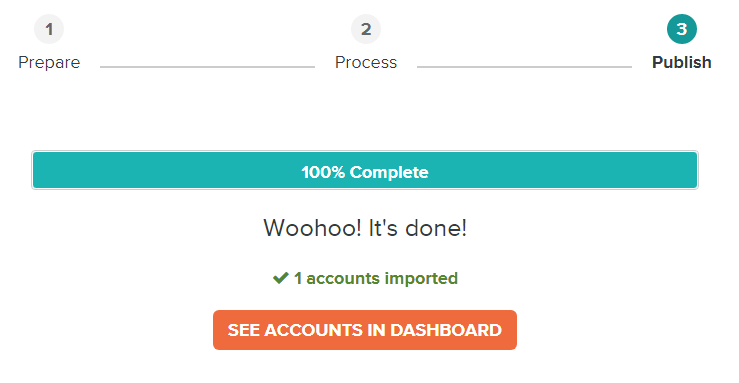 After importing, it can take time to upload all the accounts. 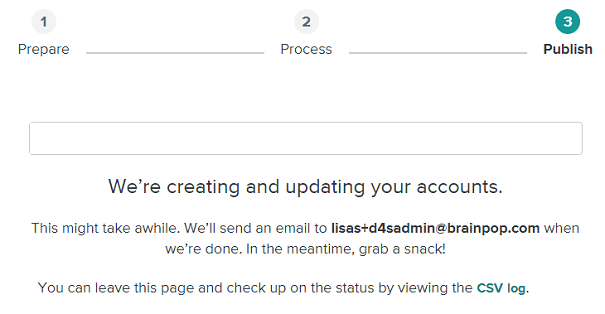 You can leave the page or close the window completely and the accounts will continue to upload. The progress of a CSV upload can be accessed by clicking CSV Log. An email confirmation will be sent when the upload is finished. NOTE: Students will not be able to log into these accounts until they have joined a class using a teacher generated class code. For more information on creating and joining classes, read the Create Classes article. How many CSVs can I upload simultaneously? You can only import one CSV per account type (educator vs. student) at a time. 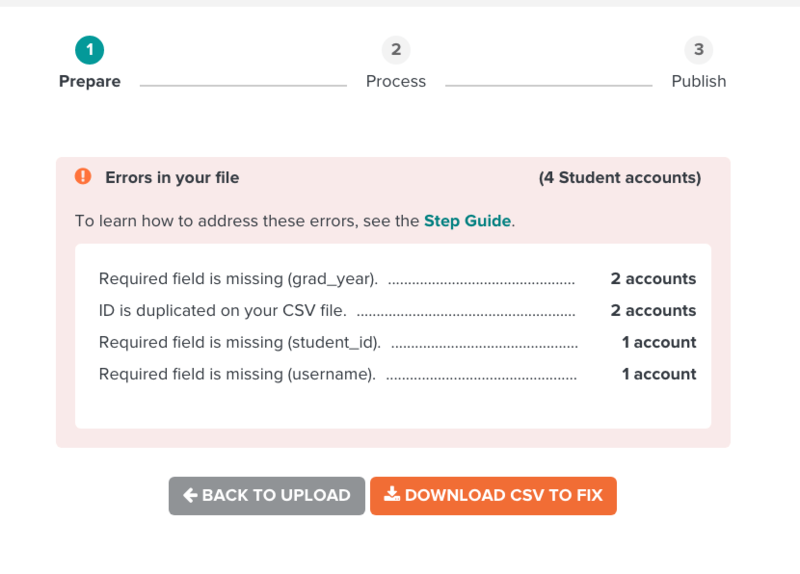 If you import a second CSV of students while the first is still being completed, the second will be queued and begin after the first CSV completes. Can I stop the import once it’s started? No. Once the upload has begun, it will continue until it is complete. You can make changes or delete the accounts entirely once the upload has finished. When students log in, why does it ask for a class code? Student accounts can be created in the Admin Dashboard, but students will not be able to log in until they have joined a class using a teacher generated class code. Read our help center article to find out how to Create Classes.